These Silent Space Isolation Booths have been carefully designed to offer you the best in performance and durability whilst still keeping the costs of the units low. The Silent Space Isolation Booths are suitable for use as Vocal Booths, Drum Booths, Practice Booths, Recording Booths, and Privacy Rooms. They are used in a wide range of applications including Music and Film Production, Auditory Testing, Colleges, Schools and Universities. 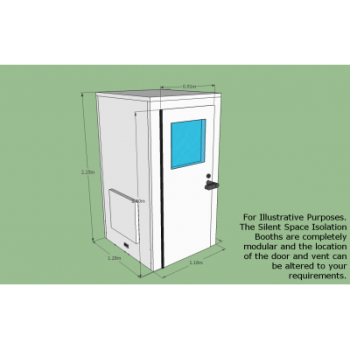 The Silent Space Isolation Booths are completely modular with the ability to place the door, window and ventilation box anywhere it is required. The height of the booth means it can be used for both domestic and commercial applications and will fit in most standard height rooms. The sturdy and solid construction of the Silent Space Isolation Booths means that your investment will stand the test of time. The steel and compressed mineral wool construction will not rot or deteriorate over time and the surface finish is very durable and easy to keep clean. The internal skin of the Silent Space Isolation Booths is a perforated steel with a fleece barrier between the steel and the mineral wool. This protective fleece means there is no risk of any escaping fibers from the internal core of the booth. The internal surface of the room acts as an acoustic absorber so there is no need for any supplementary acoustic treatment as the booth already has ideal acoustics for recording and testing. Once the booth has been erected it is immediately ready for use. The Isolation Booth comes complete with an acoustic door rated to 30 dB which includes a 600 m x 600 mm Vision Panel and lock. The lock has a panic latch on the inside so no-one can be locked in by mistake. It also comes with silent internal lighting which is RCD protected. There is also a 40 mm x 90 mm cable passage allowing you pass data, power and any other cables you may require into the booth. Finally the booth also comes complete with a Passive Ventilation Box. As there are no moving parts the unit is completely silent. As the booth is completely air tight the occupant wouldn’t be able to spend more than 20 minutes in there before he ran out of oxygen. The Passive Ventilation Unit ensures there is always a fresh flow of air into the Isolation Booth. Cable Passage - If you have a lot of cables to pass into the booth or you would like to keep electrical cables separate from audio cables you might want to add an extra cable passage in addition to the one included as standard. 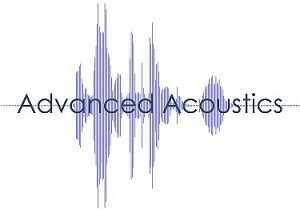 Floor Isolation Pack - As standard the Silent Space Isolation Booths simply stand on your existing floor. However if you are concerned with sound transmitting through the floor then we can supply a Floor Isolation Pack which is the same size as the external footprint of the Silent Space Isolation Booth. The Floor Isolation Pack consists of a layer of M20 Acoustic Matting, a layer of R10 Acoustic Matting on top and a layer of QuietBoard cement impregnated floor boards. The Floor Isolation kit will raise the height of the booth by approximately 50 mm. If you add this option we would also recommend you add a Carpeted Floor.